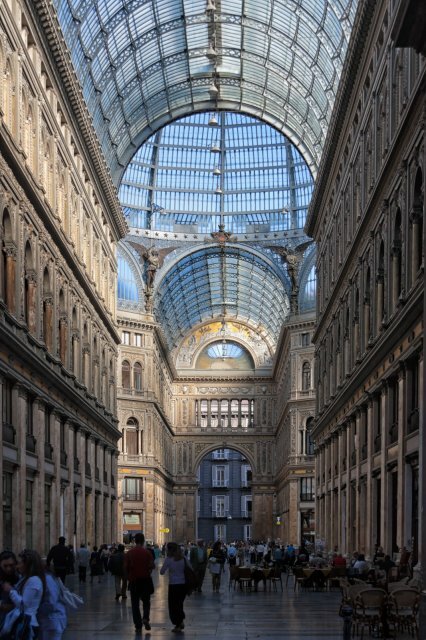 Galleria Umberto I is a public shopping gallery in Naples. It is located directly across from the San Carlo opera house. It was built between 1887–1891. The Galleria was named for Umberto I, King of Italy at the time of construction. It was meant to combine businesses, shops, cafes and social life — public space — with private space in the apartments on the third floor.